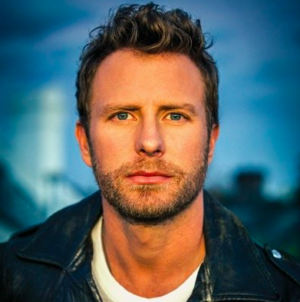 Dierks Bentley gets intimate on this new song. Dierks Bentley has a new album coming out on Friday. The title is Black. The first single has already reached the #1 spot on the radio charts. It is the latest in a long line of number one hits for Dierks. He’s become one of the really solid stars in country music over the last dozen plus years. I’m taking a little risk in saying that the title track for this new album will be the next single. I don’t know for sure, but there has been some chatter about it so we’ll go with it. And if it’s not then we’ll have another song of Dierks’ to review soon. The title of this one is obviously pretty vague. So until you play it you’re not sure where the lyrics are going to go, but this one takes the turn to the seductive side of life. This is a pretty intimate love song about two people that kind of make their world entirely black and dark for the day so they can be alone with each other. You know the feeling when you close the shades in the bedroom and even in the dark you and your lover know where to go and what to do. So the song is pretty passionate and Dierks has had success with songs like this before. The song also has a unique production. It’s kind of stripped back, but also has some electric guitar in there almost like those rock ballads from the ’80s. It’s a good song. I think people are going to like this one.